Leather Slimvelope Women around the world are falling in love with our slim, elegant ?Leather Slimvelope wallet. Just read the five-star reviews. Will it replace the man in your life? We hope not, even though it's good-looking and extremely functional. 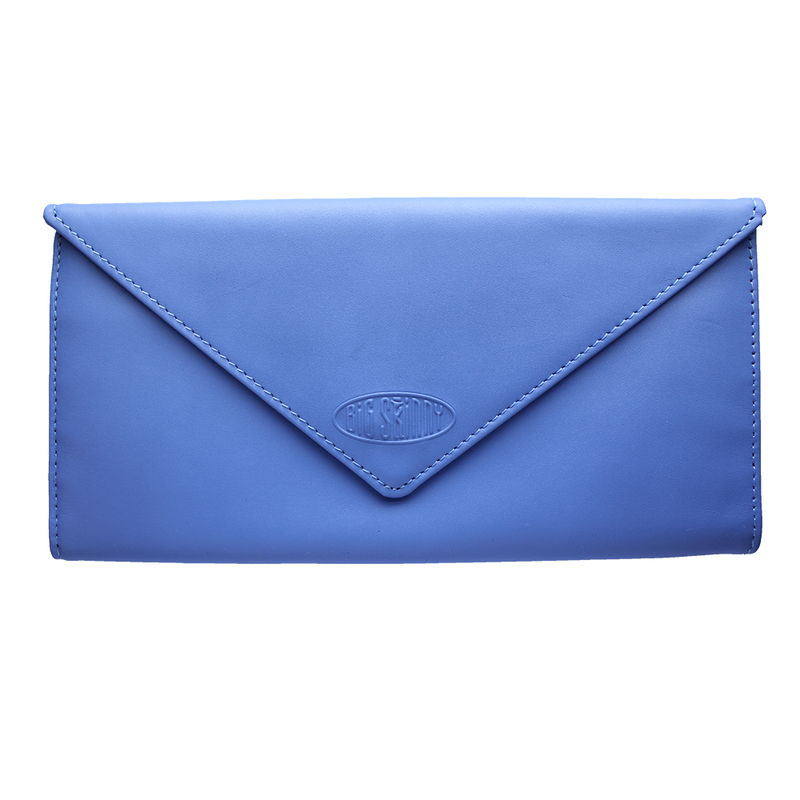 Order yours in Graphite, Coral, Cornflower Blue, Purple, Black or Ocean Blue. 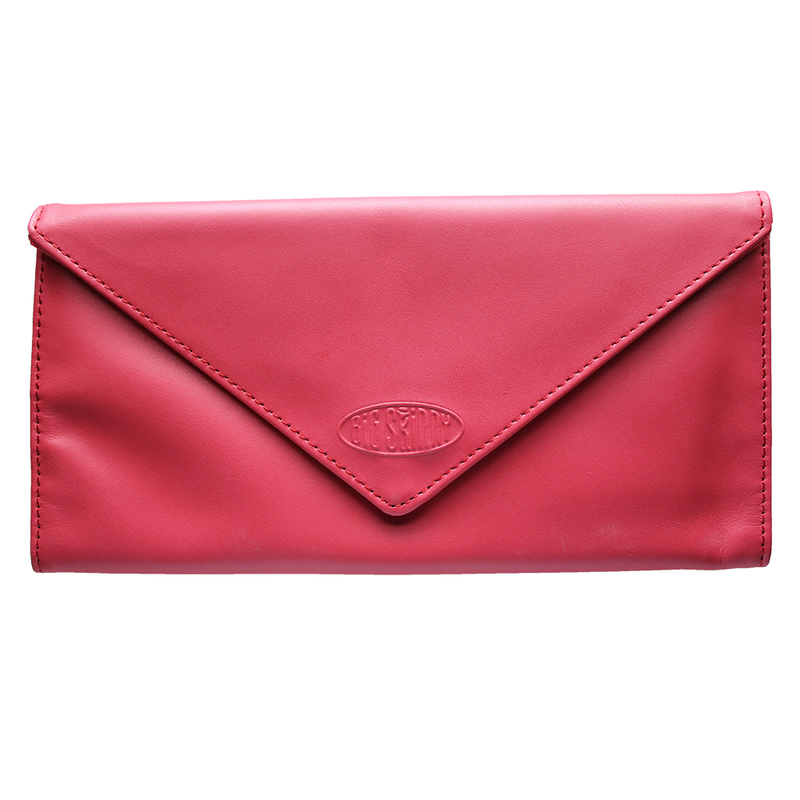 What women love are the surplus of non-slip pockets inside this stylish tri-fold wallet that's fashionable enough to do double duty as an evening clutch. A magnetic snap closure is on the front of the envelope-style wallet that's 7.5 inches by 4 inches in size. This Slimvelope is only .5 inch thick. 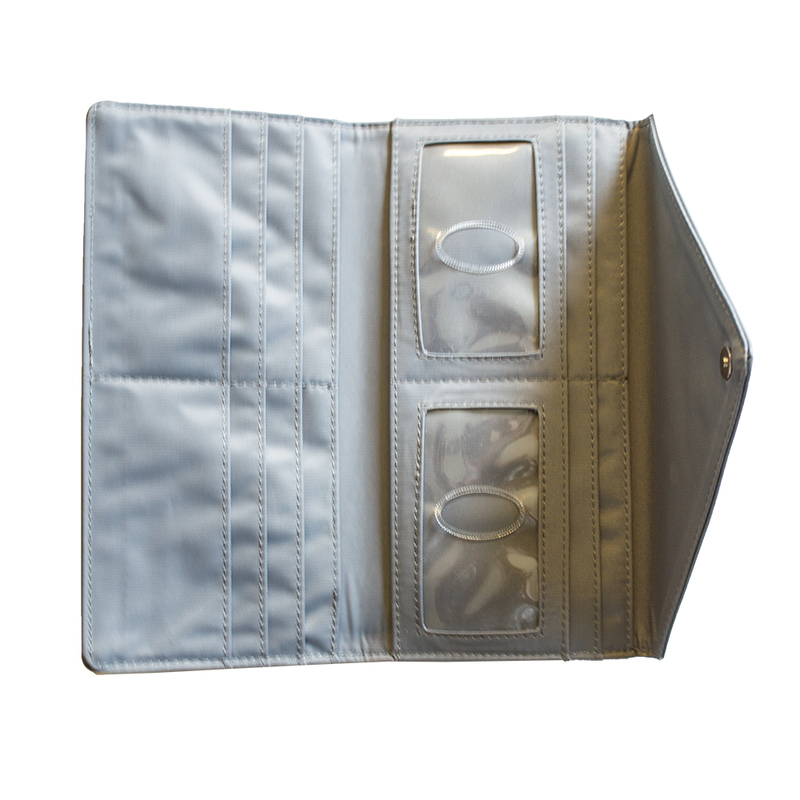 Inside our tri-fold Slimvelope are two checkbook-sized billfolds, two clear plastic ID card pockets, and eight extra wide card pockets. Each holds three to five credit cards. Best wallet I’ve ever had! I LOVE this wallet. It is so light, and so thin, and, yet, it holds EVERYTHING I had in my old, big, heavy, fat wallet. The other plus is that it is very good looking. 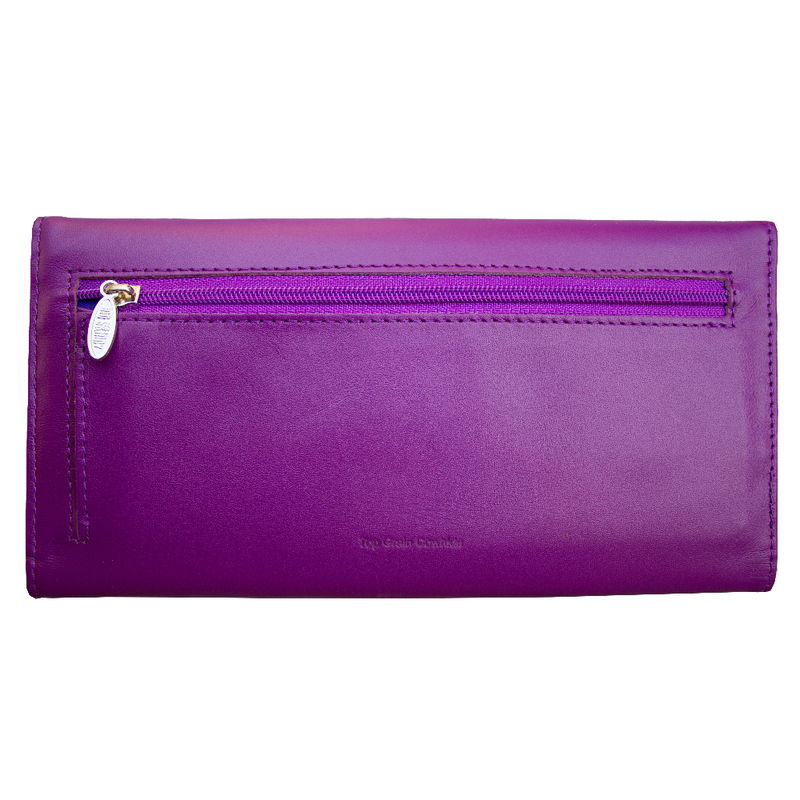 I have the purple leather version and get compliments on it every time I take it out of my purse. This wallet is very practical. 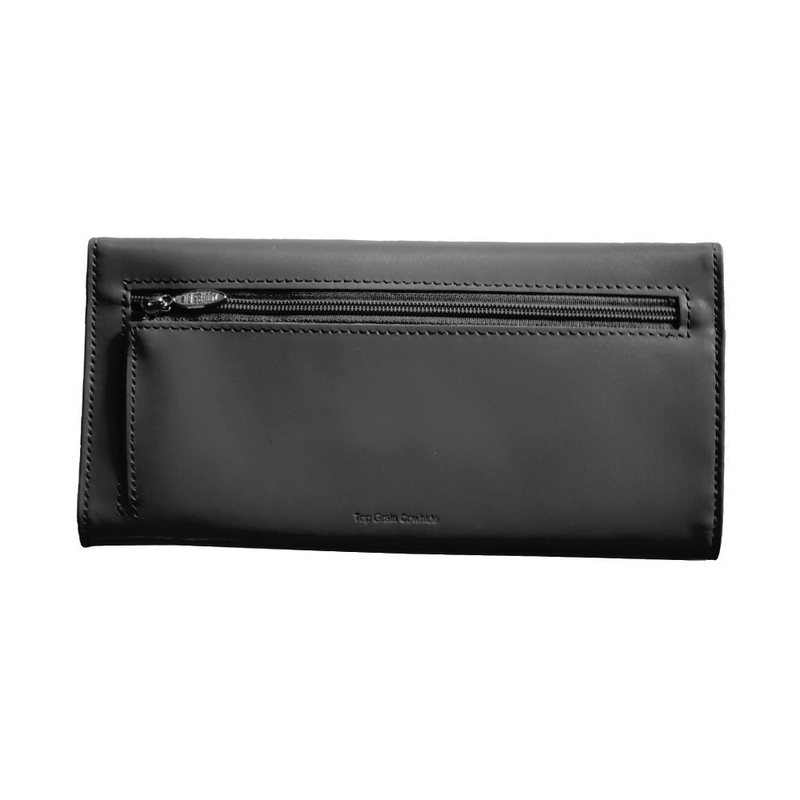 It�€™s slim design holds all the essentials without the bulk. Very well made. Outlasts all other brands. 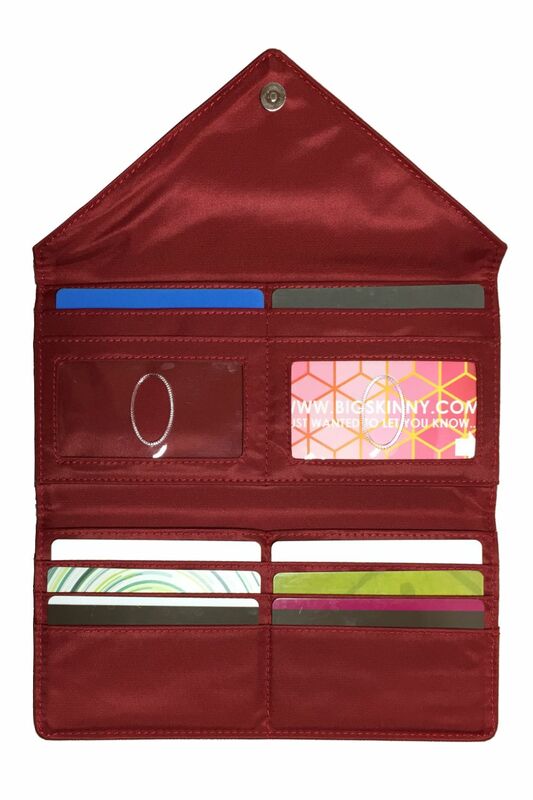 Thanks big skinny for designing a well made wallet! 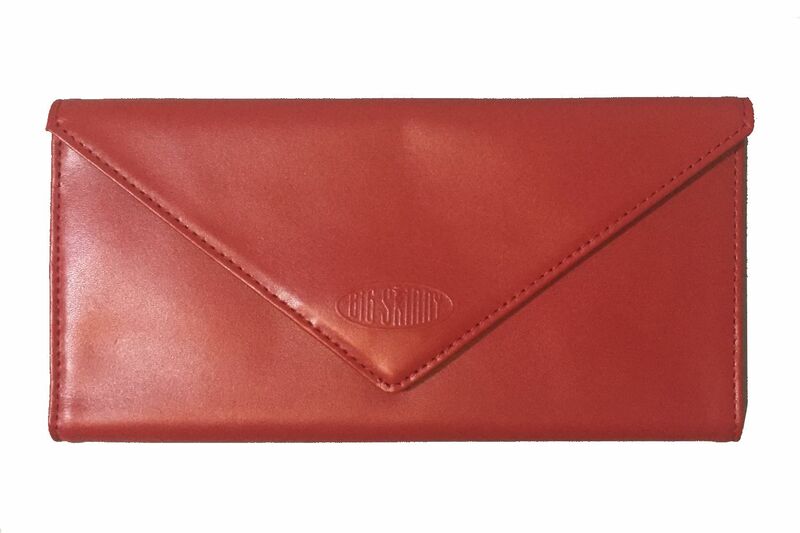 I ordered a wallet years ago and it was always my favorite! It's still in good shape except for the card pockets stretching out. I ordered a new one recently just like the old one except for the flap style. 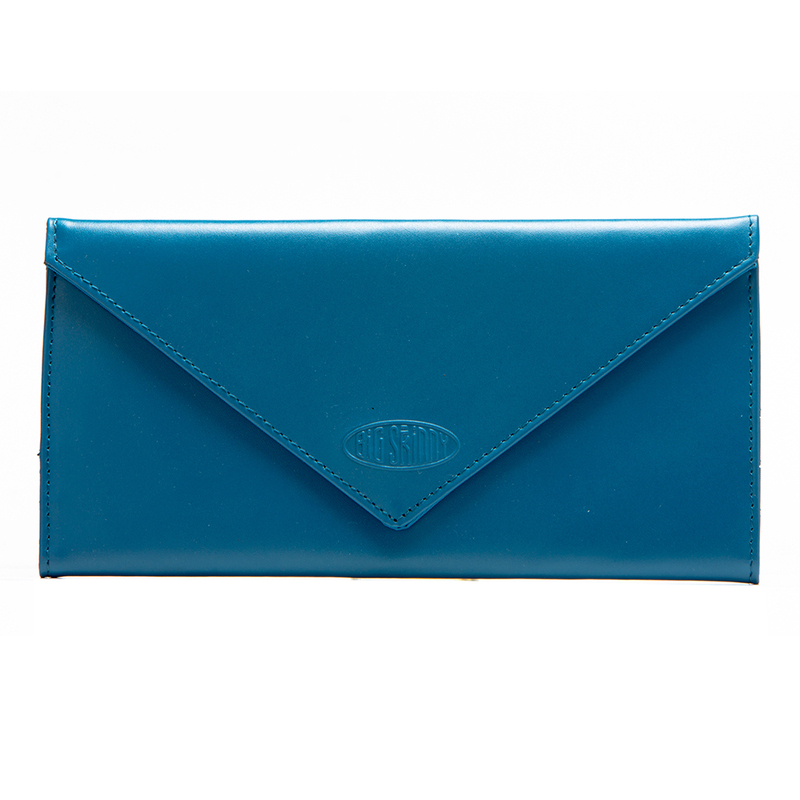 I actually preferred the straight across flap instead of the envelope style, but it is still a great wallet! 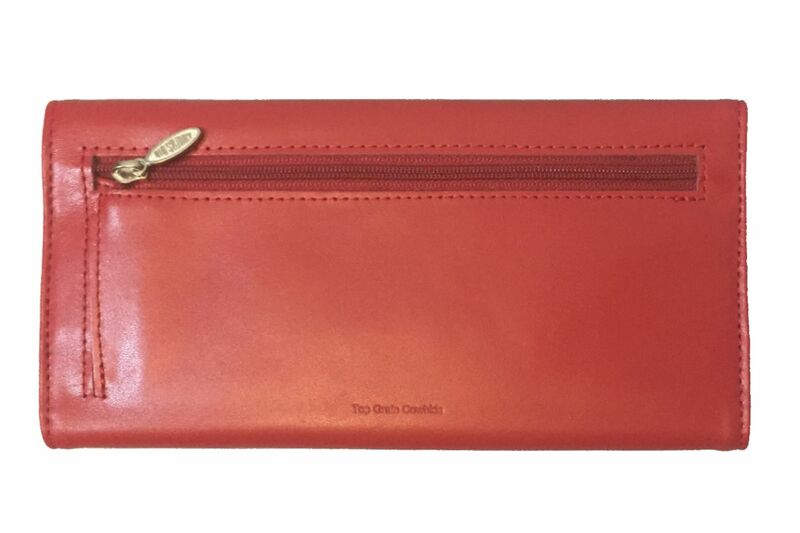 I love how slim it is, and everything fits in it.... cards, cash, checkbook etc! 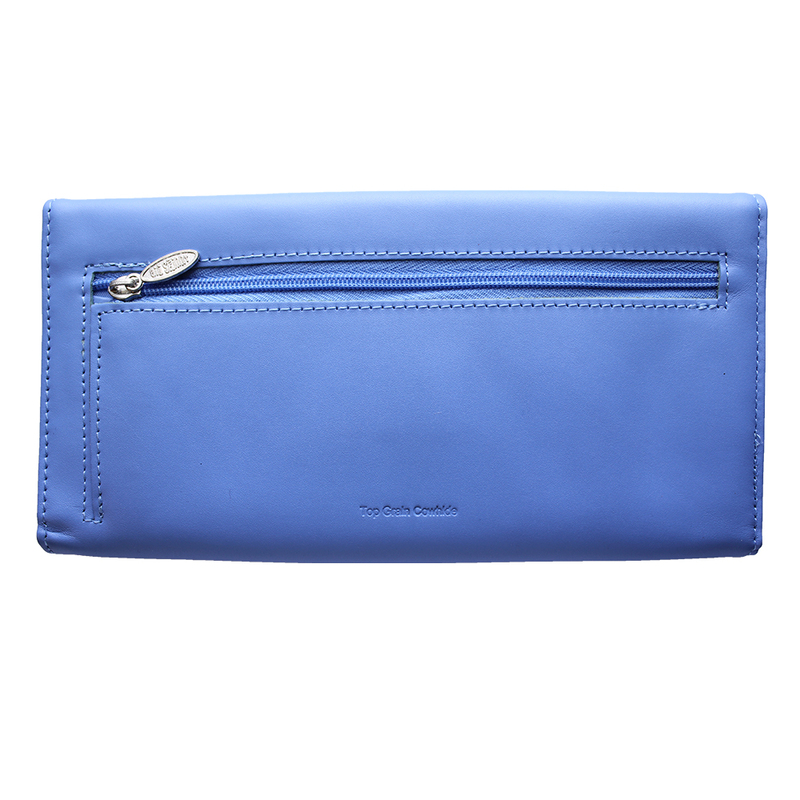 I ordered the cornflower blue color, beautiful! Thanks for a great product! I bought one at the OKC fair several years ago and loved it. 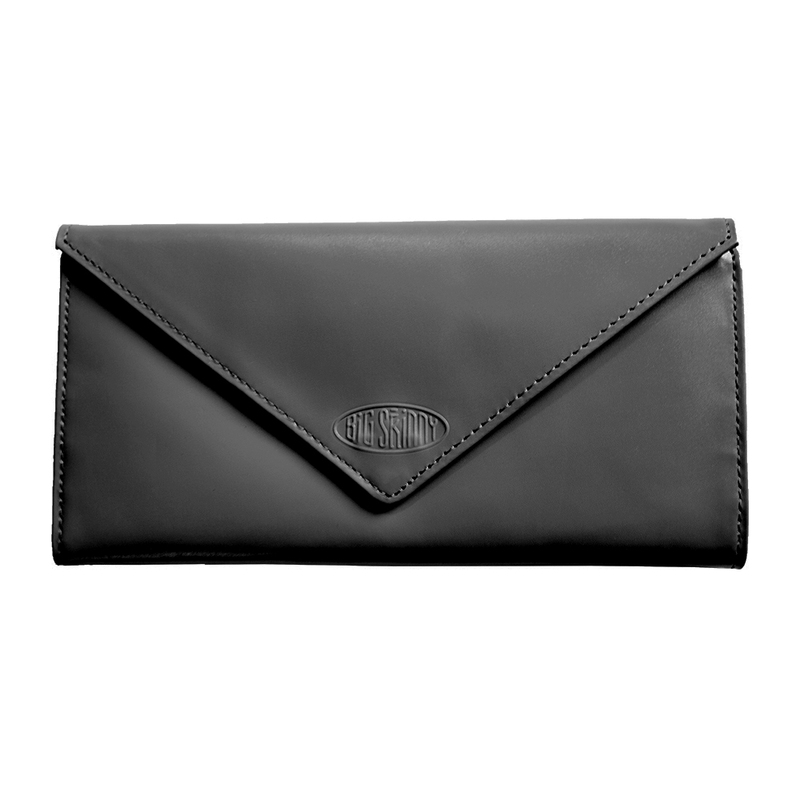 I prefer western styles so went to your web site and sure enough, you make leather skinny wallets! I can get everything in your wallets without all the bulk! And I'm pretty sure they will last forever! Thank you so much! 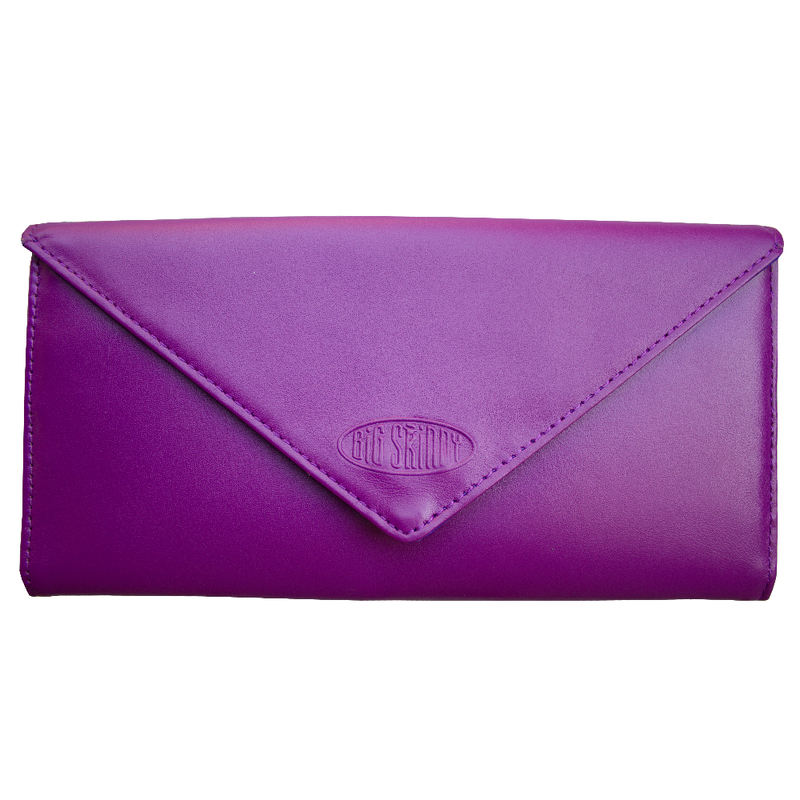 The slimvelope wallet is just perfect to hold all of my cards and cash, yet not take up the whole inside of my purse. The fun color just adds to the enjoyment. 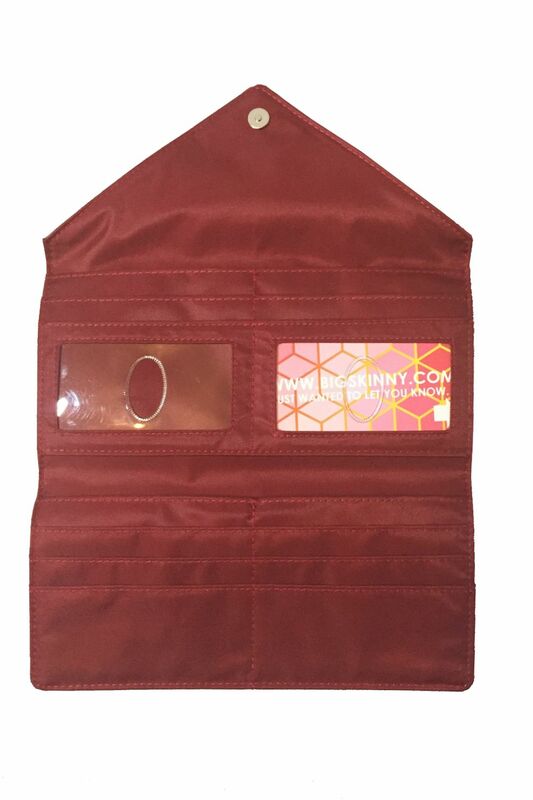 I have always been a huge fan of the men's Big Skinny wallets, so I decided to purchase one for my wife. It has all the features she needs minus the bulk. Great buy! ProsLots of pockets and storage, nice color, ultra-thin. I love it. It holds everything and is so compact. ProsSlim lines are attractive. 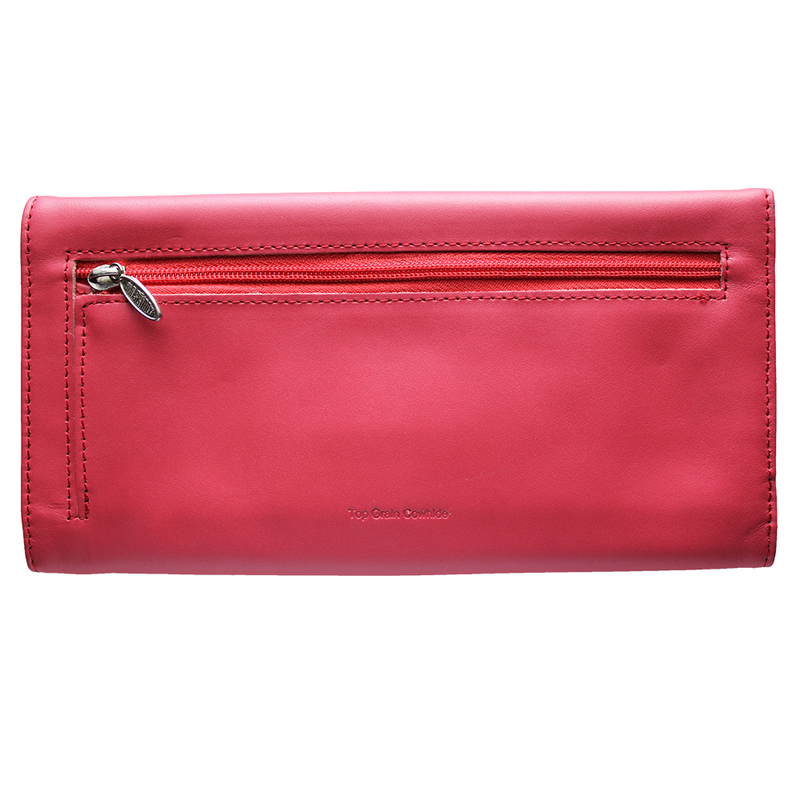 It holds everything Lightweight, which is a blessing in a purse that already weighs too much. ConsThe snap could be a little stronger. 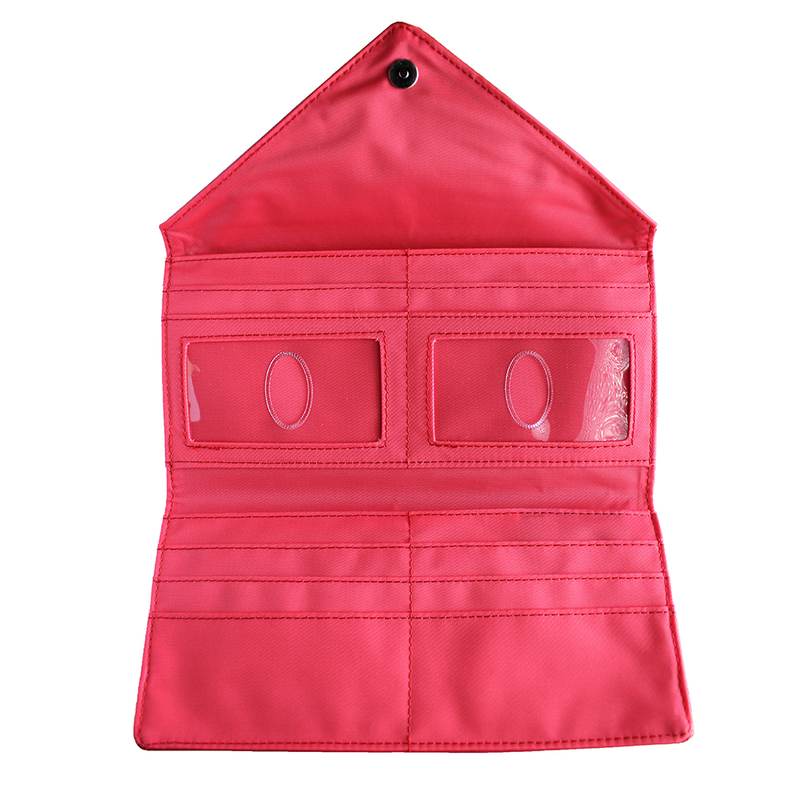 I was looking for a wallet that would hold everything AND not take up a lot of room in my purse AND have a clear holder for my DL. The slimvelope wallet does all that and gives me TWO clear places for my IDs. I love it!! Will be buying another one in the near future. Everything it claims to be. Light weight, handsome,great storage. My fav wallet. Love it.